It must be hard to be a neoliberal Democrat in Donald Trump’s America. Almost every policy decision you favor is also on the Republican President-elect’s to-do list. 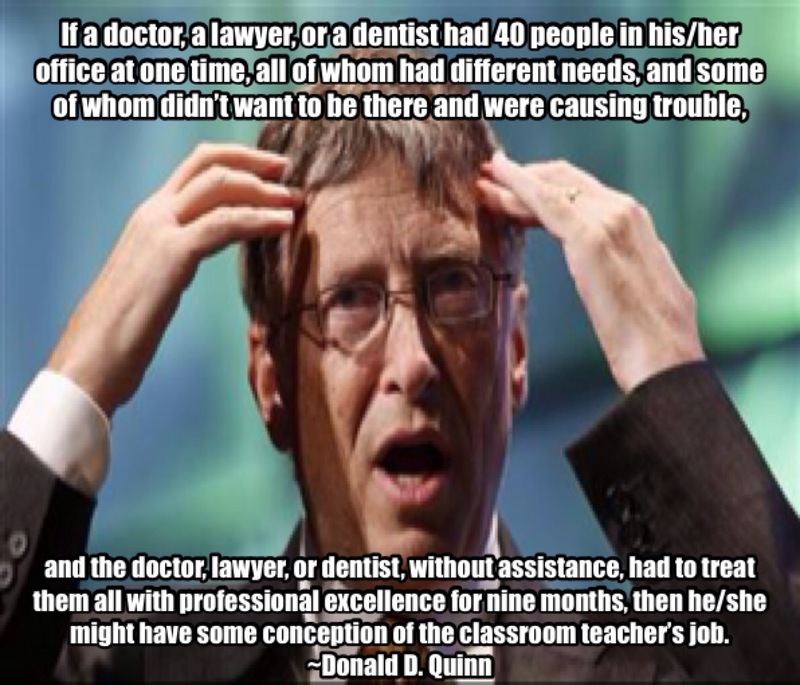 But if you work with him, you’ll ruin the illusion that there’s a difference between the two of you. Take yesterday’s statement by Democrats for Education Reform (DFER) warning any Democrat not to accept Trump’s offer to be U.S. Secretary of Education. DFER is a hedge fund managers’ pro-charter advocacy group. Despite it’s name, one would think the organization would be a natural ally for pro-school-choice Trump. I thought one of the first things Trump promised to do once he took the Oval Office was close the Department of Education. 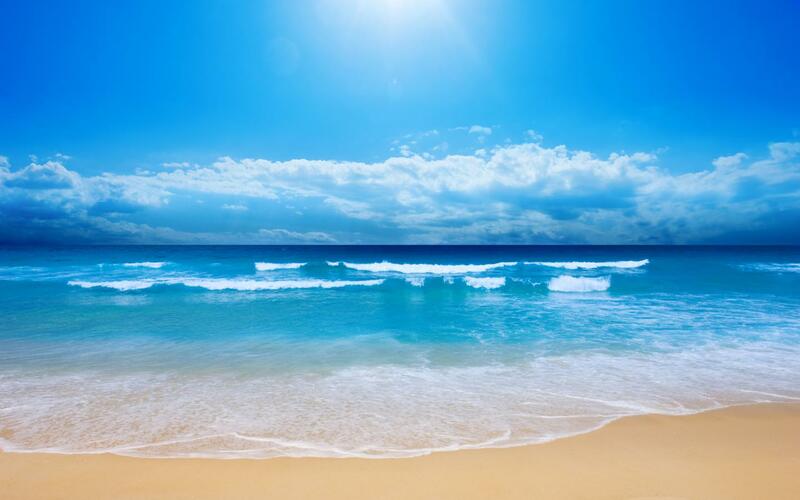 Weeeeeelllllllll…. That’s so November 10th. He’s already walking back that whooper just like he’ll soon have to admit that the Every Student Succeeds Act (ESSA) doesn’t allow him to end Common Core – another one of his campaign promises. Ending the Core is up to the states (has been for months, yet most Republican controlled legislatures just can’t bring themselves to do it for some reason). It’s easy to see why Trump has had a Come To Jesus moment about the Department of Education. If he really wants to add $20 billion in school-choice programs, as he promised on the campaign trail, a big government office that hands out bundles of cash in return for states enacting his personal policy desires sure would come in handy! This is where it gets really sticky. 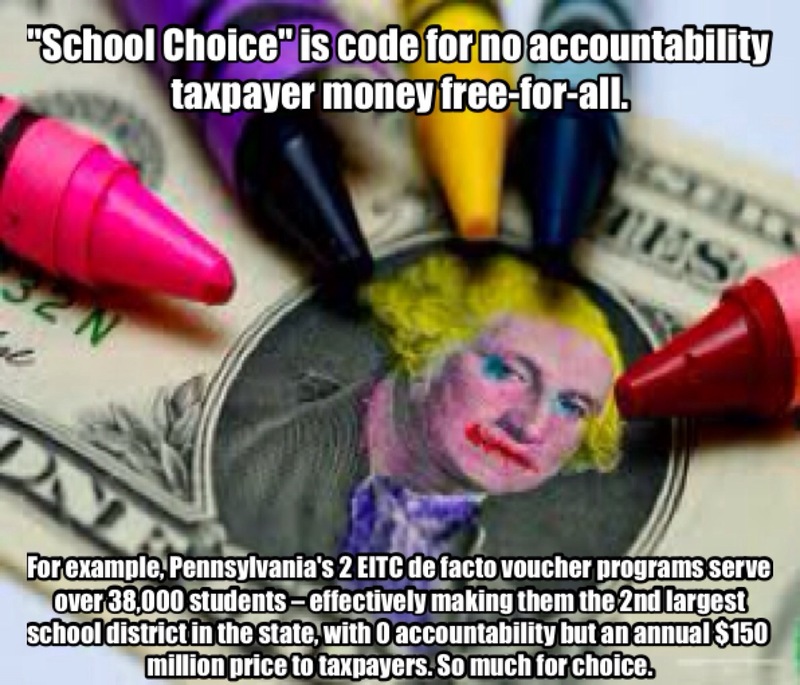 Both Democrats and Republicans love school choice! 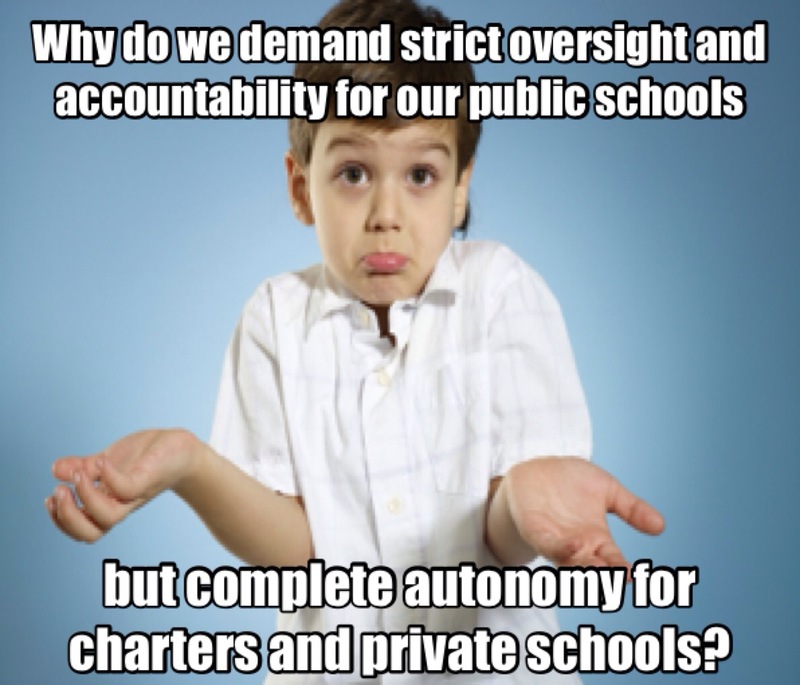 Typically GOP politicians love all flavors of privatization – charter schools AND giving away vouchers to attend private schools with public tax dollars. Democrats usually are more finicky preferring just charter schools – though you don’t have to search long to find a neoliberal willing to embrace all things school choice. Many of them are members of DFER. In fact, the leading voices of school privatization for the last 15 years have been Democrats. So it’s no wonder that faux progressives like Michelle Rhee and Eva Moskowitz made Trump’s short list to head the Department of Education. Moskowitz, who has since turned down the offer, is founder of Success Academy Charter Schools, a chain of privatized institutions emphasizing endless test preparation and systematically weeding out struggling or special-needs students. 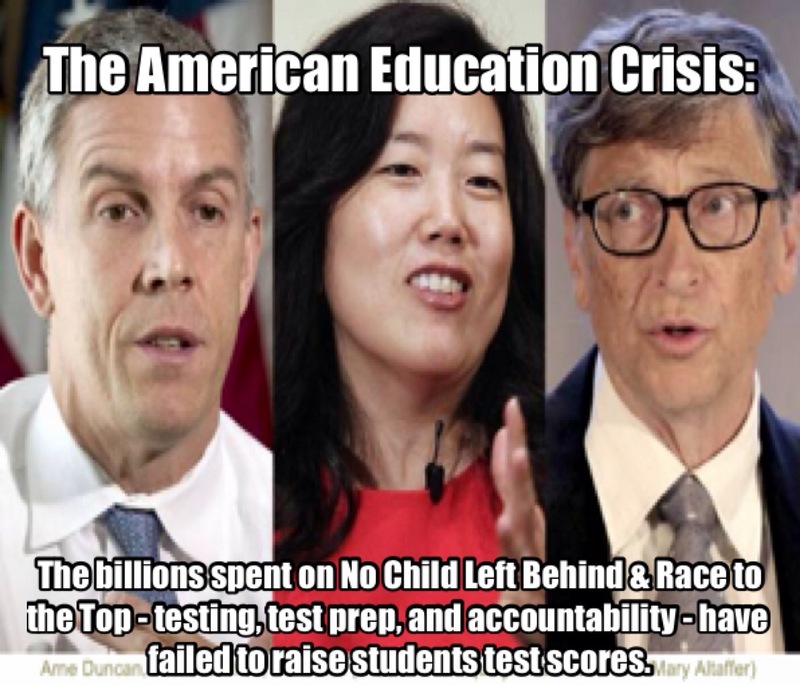 Rhee, who is still a contender, was chancellor of Washington, D.C., schools where she was given leeway to do almost whatever she wanted and boasted of high test scores. However, widespread cheating on the tests and public unrest at her tactics shot down her ascending star. She then started StudentsFirst, an organization using rich folks’ money to help elect Tea Party candidates who were in favor of both charter and voucher schools. As the organization faltered, she stepped out of the limelight. One could think of few people more suited to Trump’s education agenda than Rhee. But NO! Rhee – or another faux progressive – can’t do that, warns DFER President Shavier Jeffries. That goes against everything Democrats stand for – somehow. “It is, generally speaking, an honor for any person of any political persuasion to be asked by the President of the United States to consider a Cabinet-level appointment, but in the case of President-elect Trump, DFER encourages no Democrat to accept an appointment to serve as Secretary of Education in this new administration. In so doing, that individual would become an agent for an agenda that both contradicts progressive values and threatens grave harm to our nation’s most vulnerable kids. 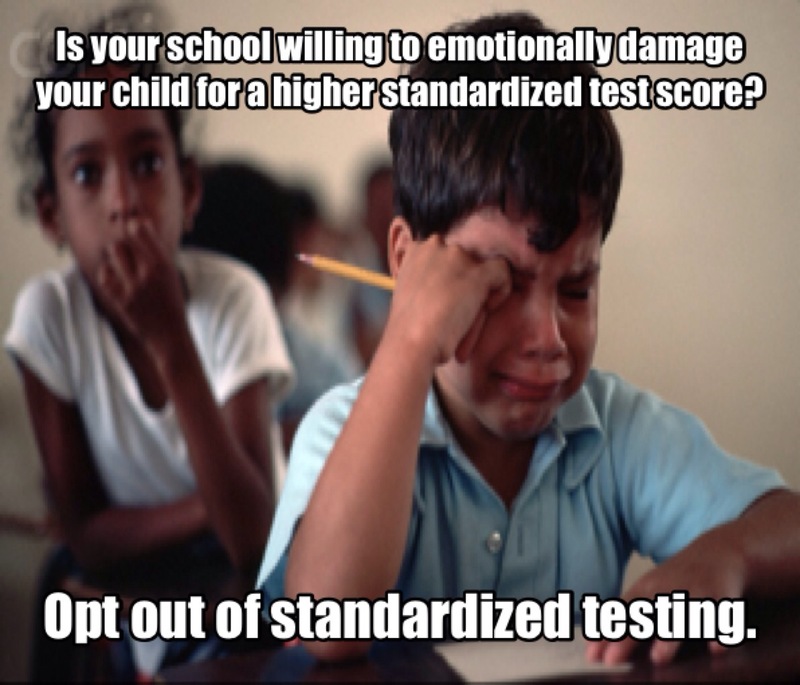 Jeffries is worried about “raising standards?” Am I the only person here who read the ESSA? 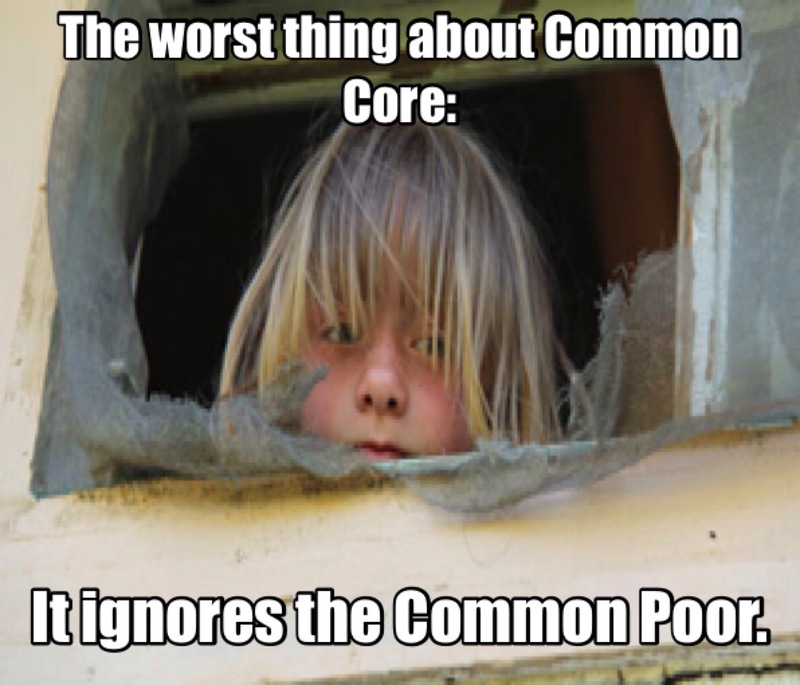 Common Core and academic standards aren’t the federal government’s business. He’s worried about “strengthening accountability?” The ESSA already requires annual standardized testing in grades 3-8 and once in high school – same as it has since the George W. Bush administration. “Expanding school choice?” You guys love school choice. “Further innovations in teacher preparation and support?” That sounds like code for Teach for America and Value Added Measures – policies that Republicans love as much as you so-called Democrats. “Advancing resource equity?” Now who are you kidding? 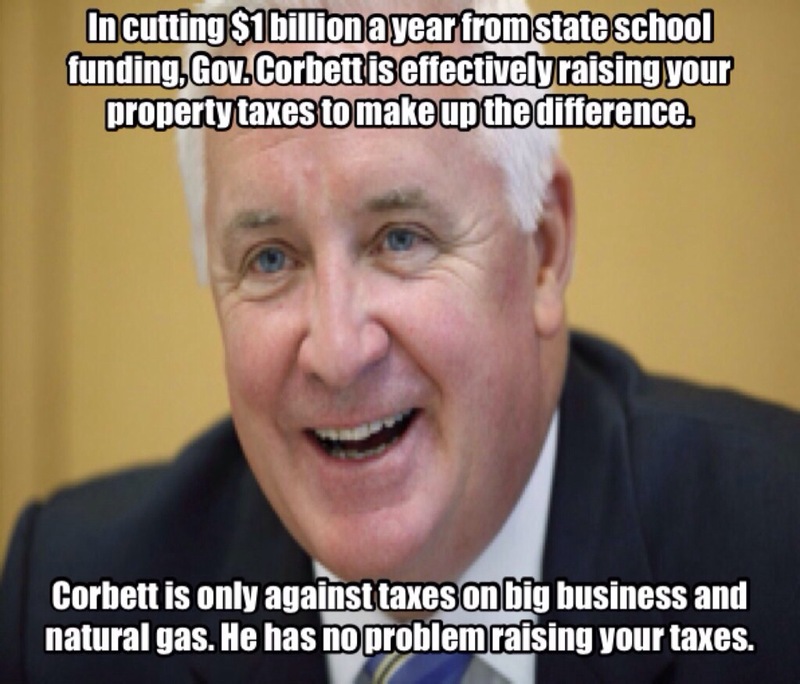 DFER hasn’t done a thing to help poor schools get equitable resources. In fact, you’ve supported pulling the rug out from under poor schools based on those same standardized test scores you love so much. So when it comes to policy, Jeffries and DFER are almost completely in synch with Trump. What’s the problem? This is a shock to me. Jeffries and DFER support “no excuses” charter schools like Moskowitz’s. 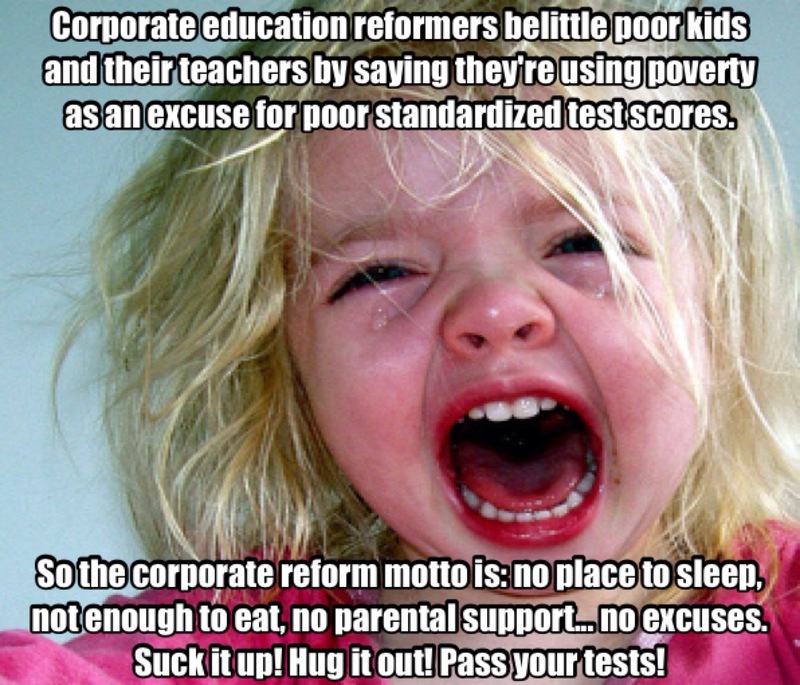 These are privately run schools that don’t accept a student’s poverty or abuse or health or anything to be used as an excuse not to get high scores on standardized tests. 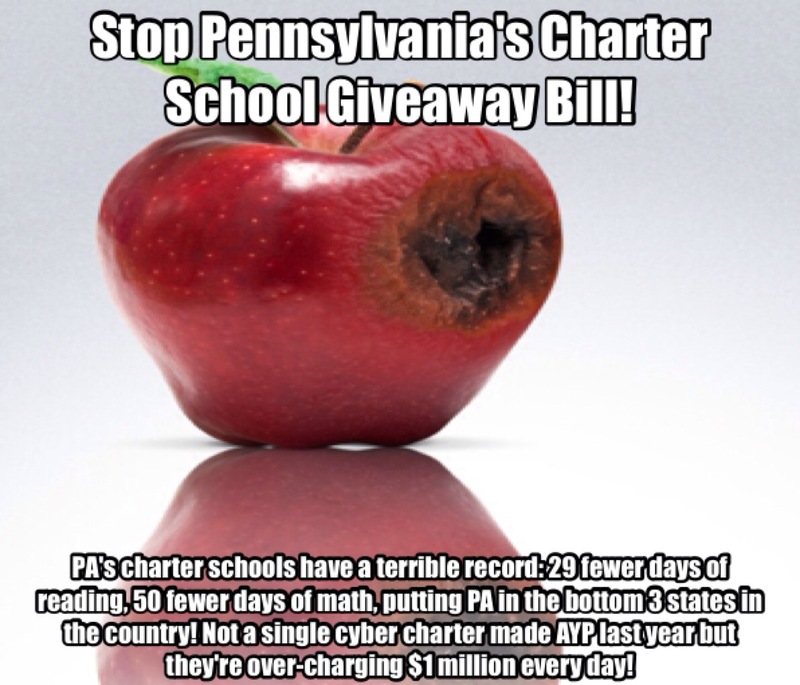 In fact, if any impoverished, underprivileged child can’t somehow pull himself up by his bootstraps, he’s often kicked out of these “no excuses” charter schools and sent back to a traditional public school. But NOW Jeffries is complaining about “vitally important” “environmental conditions”!? You’ve got to be kidding me! That sounds like something under any other circumstances you’d call an excuse. On any other day, DFER does nothing to help kids overcome their environmental factors. Jeffries claims we should ignore environmental factors, that focusing on them is the “soft bigotry of low expectations.” But NOW he’s suddenly seen the light!? Sorry. I’m not buying it. Well, Hallelujah! Jeffries has seen the mountain top! Paying attention to the out of school factors is exactly what teachers, parents and students have been crying out for he and his neoliberal buddies to do for 15 years! Of course, doing so would invalidate the same policies he and Trump propose, but you can’t ask a neoliberal to be consistent. Baby steps. “The policies and rhetoric of President-elect Trump run contrary to the most fundamental values of what it means to be a progressive committed to educating our kids and strengthening our families and communities. He proposes to eliminate accountability standards, cut Title I funding, and to gut support for vital social services that maximize our students’ ability to reach their potential. 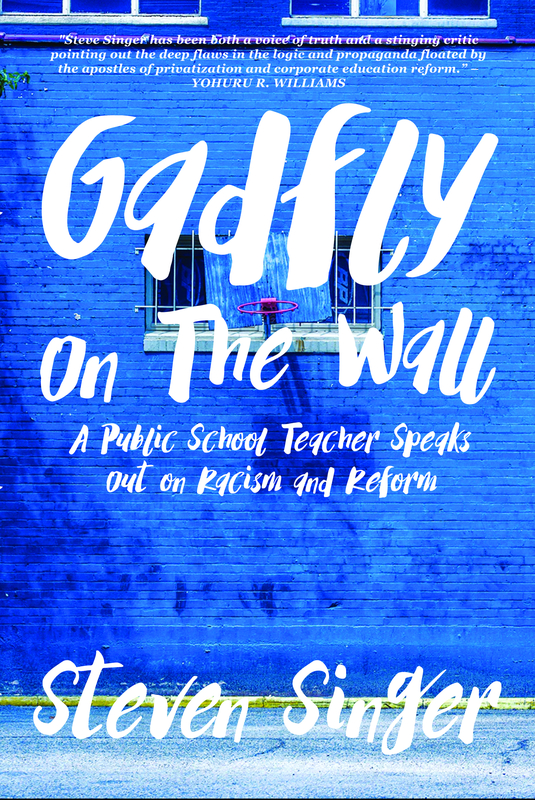 And, most pernicious, Trump gives both tacit and express endorsement to a dangerous set of racial, ethnic, religious, and gender stereotypes that assault the basic dignity of our children, causing incalculable harm not only to their sense of self, but also to their sense of belonging as accepted members of school communities and neighborhoods. So what Jeffries really takes exception to here is Trump’s rhetoric. Trump and DFER don’t have many policy differences. It’s just how they’re packaged. Both Trump and Jeffries wants to give poor black and brown kids a substandard education. 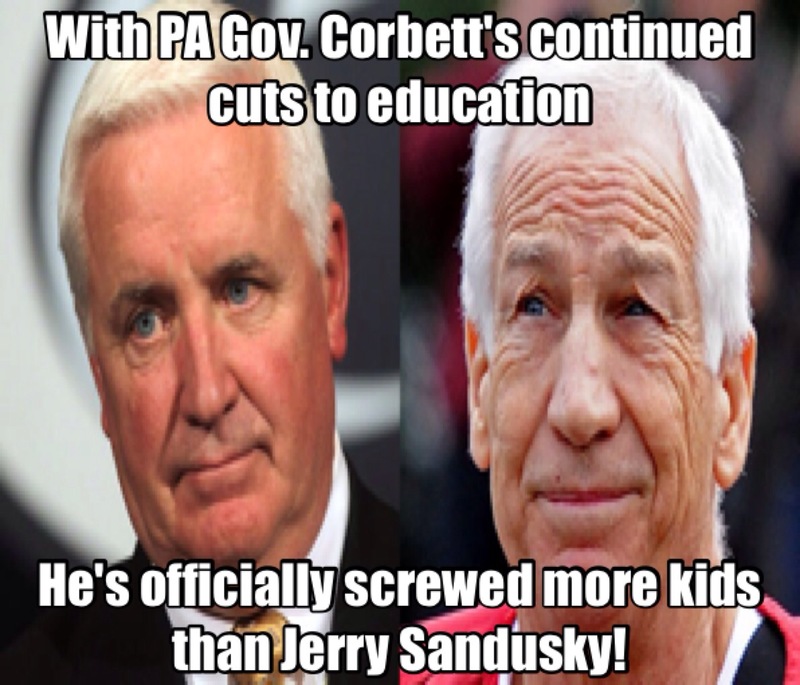 They both want to destroy the public school system and replace it with a privatized one. 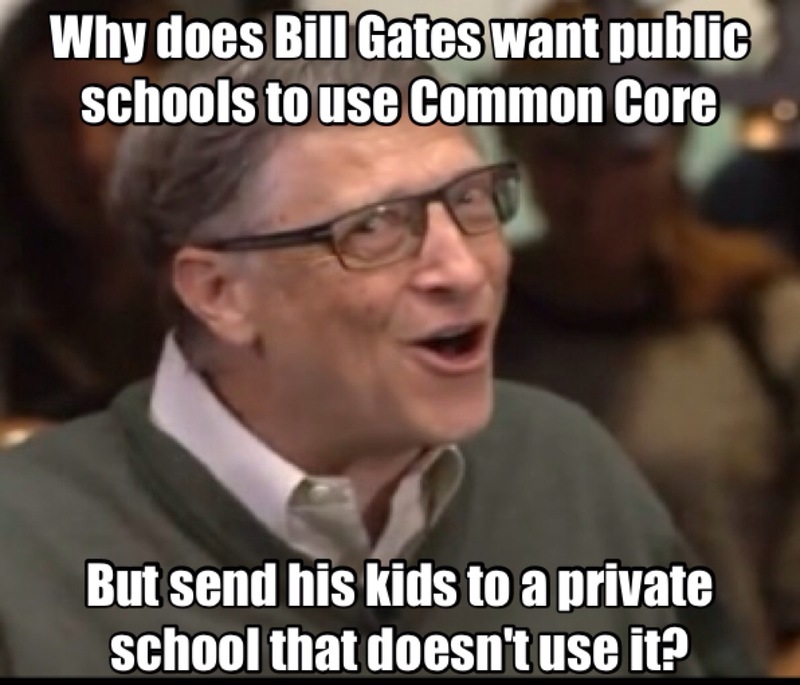 Both want to give endless standardized tests. But the real difference is that Jeffries wants to do this for the expressed purpose of protecting kids’ civil rights. Trump, apparently, wants to do it to violate them, or at least he’s indifferent to the civil rights implications. Does that really constitute a significant difference between DFER and Trump? Jeffries doesn’t want someone like Moskawitz or Rhee to be the face of Trump’s corporate education reform policies because he’s betting Trump will fail. And when that happens, he wants to be there when the next Democratic administration takes over – so he can enact the same damn policies all over again! If you turn on the TV these days, you’re bound to come across a news program talking about education reform. You’ll see at least five talking heads – not one of whom is an actual school teacher. And no one thinks there’s anything wrong with that. You’ll find actors, sports stars, politicians, hedge fund managers, vulture capitalists, economists… anyone but a living, breathing educator. 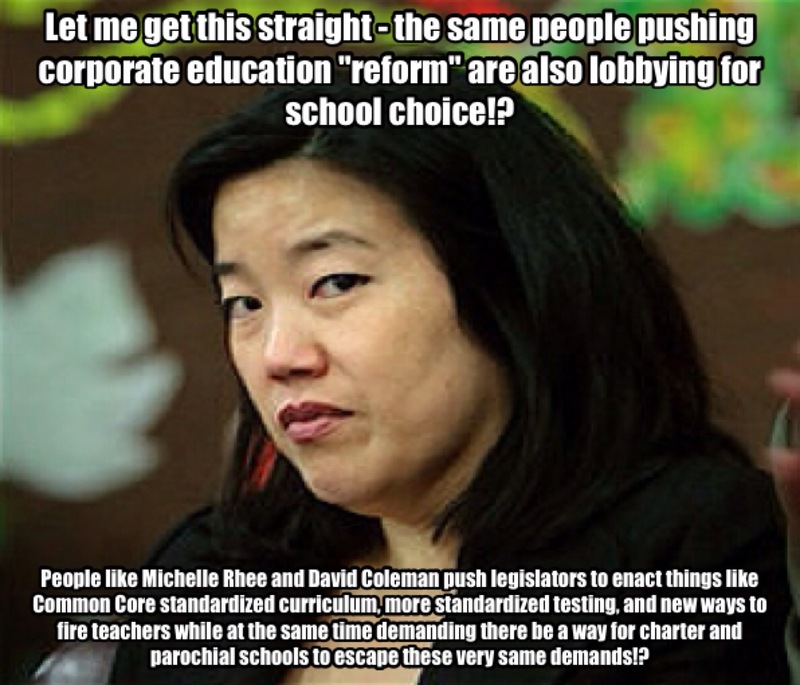 If you’re lucky, you might find someone like Michelle Rhee who taught for about three years before becoming a professional education reformer and then was embroiled in various cheating scandals. Would we find this acceptable if it were in other fields? I wonder if a panel on medical reform held without a single doctor would have the same gravitas. Maybe a discussion on safe ways to fly an airplane without any airplane pilots would be well received. ‘Laws Without Lawyers’ would sure be an informative talk! Heck! We even hire ex-athletes and coaches to go on ESPN and talk about the games they, themselves, played and/or coached! Only in the field of education do we find The Professional completely superfluous. 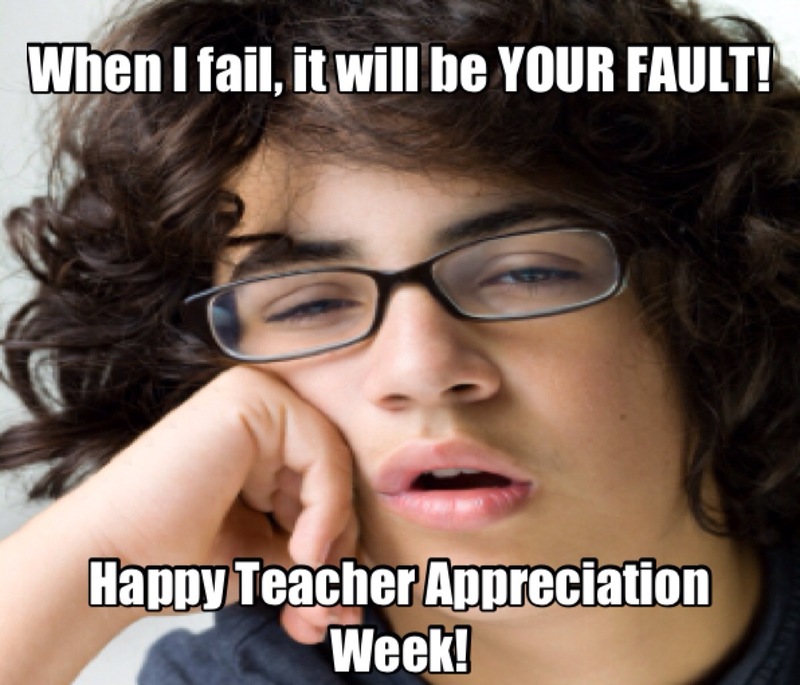 Much has been made of the public’s disregard for teachers: the idea that since you’ve graduated high school, you know what it means to be a teacher. You don’t. 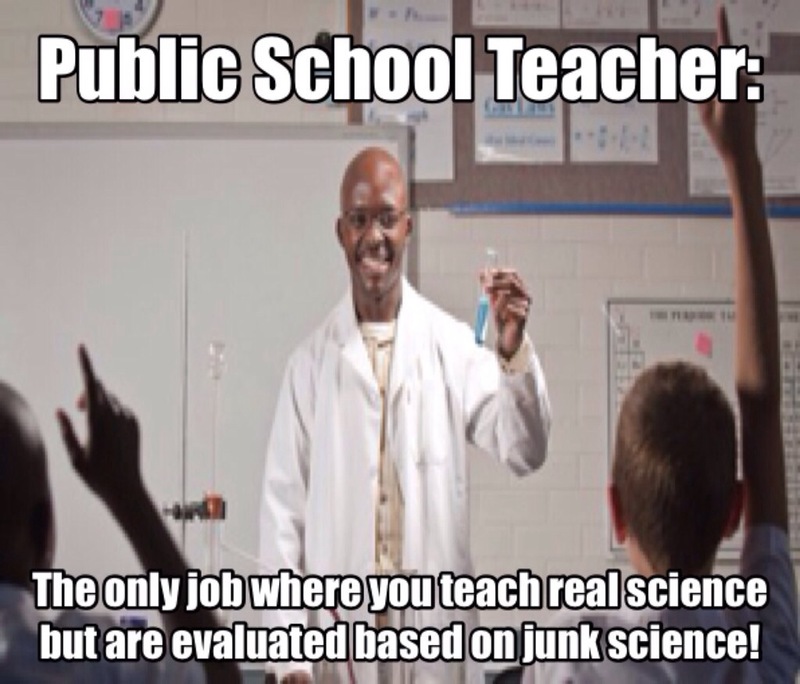 You don’t get a teaching certification digging around in a Crackerjack box. People earn genuine college degrees in this – many of them get masters and doctorates. Those degrees even require you to go out and do some actual teaching! Let me assure you, none of it entails reminiscing about your old high school days and all the teachers who were mean to you. 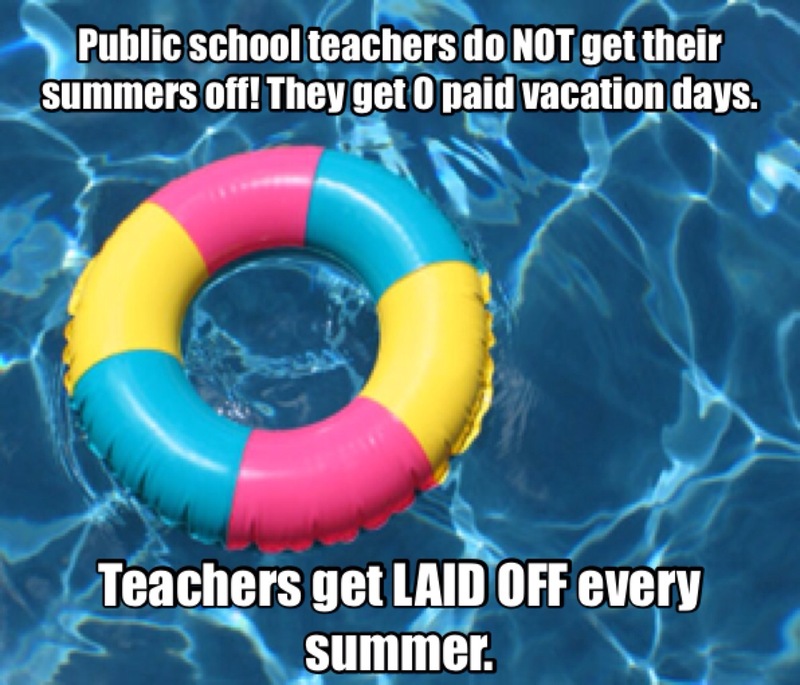 So why does the public love reformers but hate teachers so much? I think it’s because we let them define the debate and frame the narrative. “He who frames the question wins the debate,” goes the old saying. 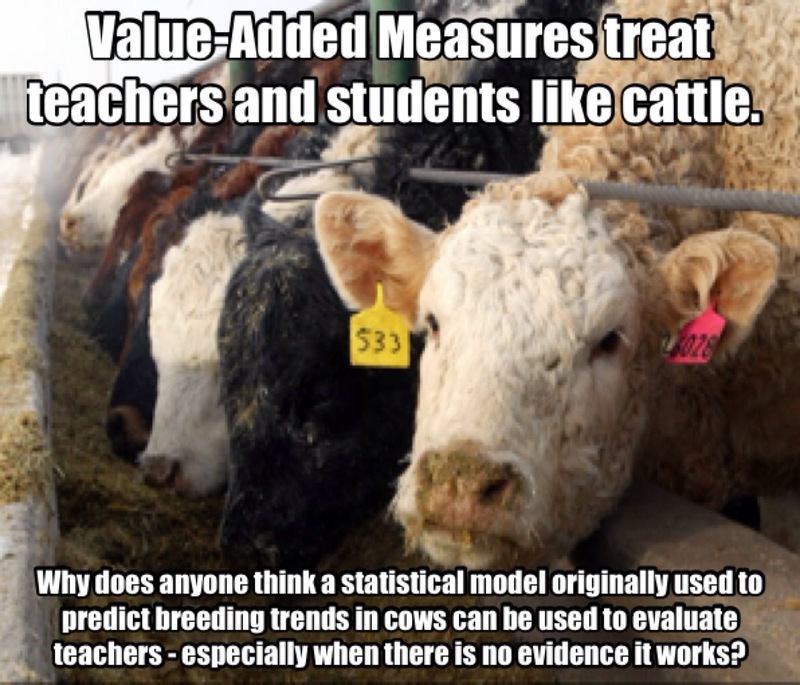 Though erroneously attributed to Randall Terry (There is no evidence he was the first to use it), it’s true. 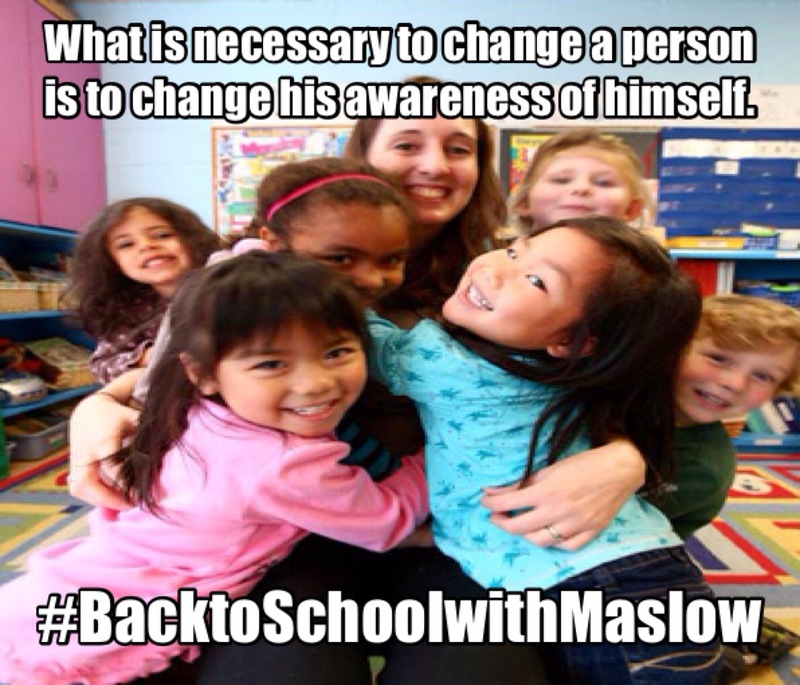 We’ve let the Michelle Rhee’s of the world do exactly this. To see how, ask yourself the following question: What do we call THEM? 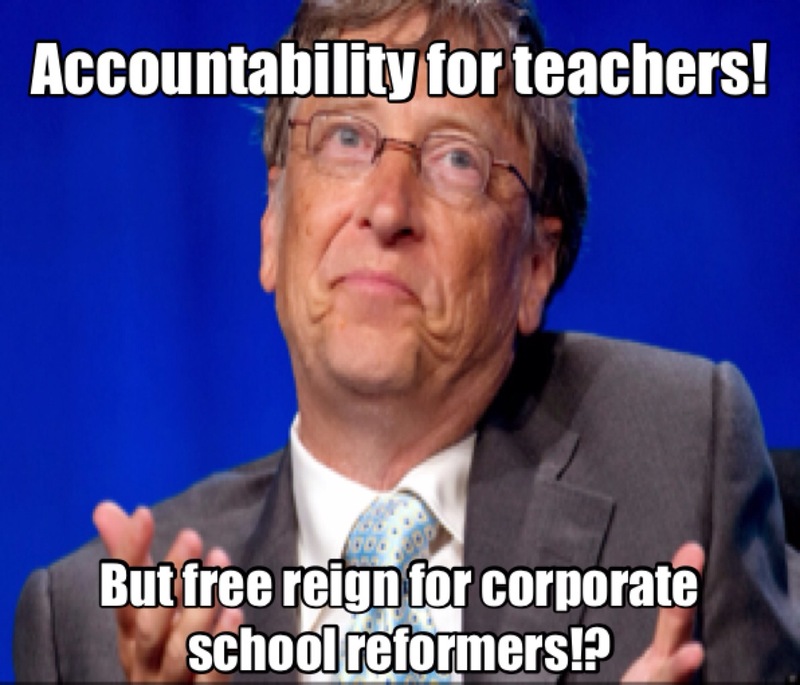 The answer: Education reformers. Some of us try to put a disparaging “Corporate” at the front, but by then the damage is done. They’re the “reformers,” and what do we call those who oppose them? We don’t even really have a name. Nothing except “TEACHERS!” said with a sneer! Or maybe they’ll try to stick in “UNIONS!” with that same sarcasm! Even if you don’t belong to a union, even if you aren’t a teacher, they’ll try to tie you to those pejorative terms: “You’re in the pay of the teacher’s unions!” Heaven help us! In the court of public opinion, the facts don’t matter. This is where we’ve lost. It doesn’t matter that the state and federal government has been trying out the pet projects of these “reformers” for at least a dozen years and none of their promises have come true. 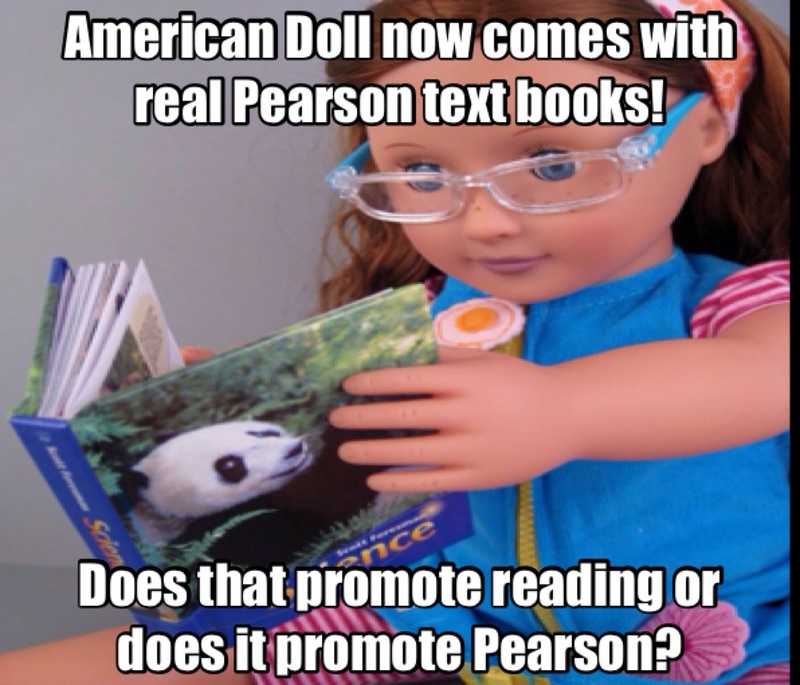 No Child Left Behind, Race to the Top, Common Core, high-stakes testing, charter schools, vouchers – it’s all the same snake oil they keep selling the public again-and-again… AND PEOPLE KEEP BUYING IT! But what choice do they have? 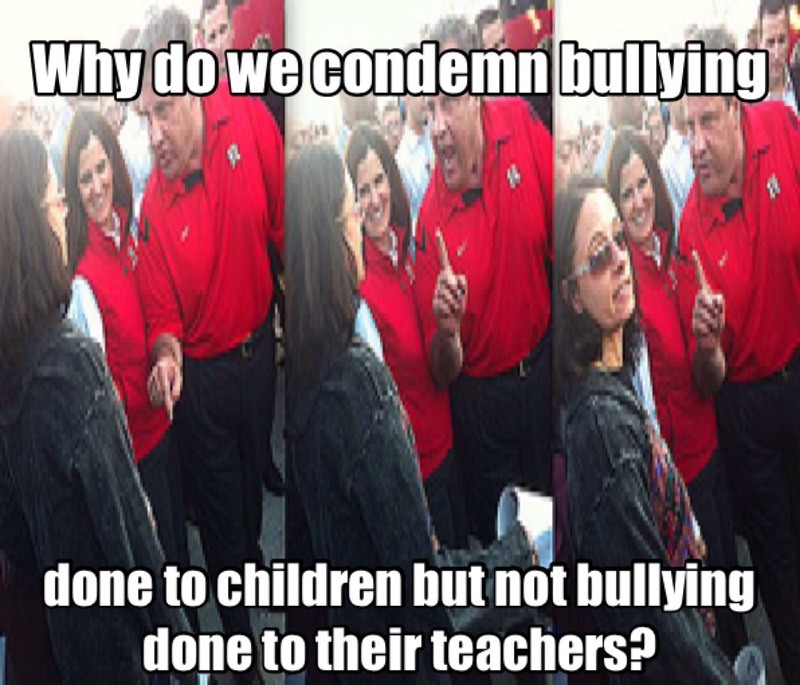 These are the “reformers.” If I’m against them, what am I? An obstructionist? Am I in favor of the status quo? Do I just want to keep things the way they are? Of course not! But we’re stuck without a name to call ourselves and, to be honest, a more accurate (but polite) term to call them. Let me offer a solution. 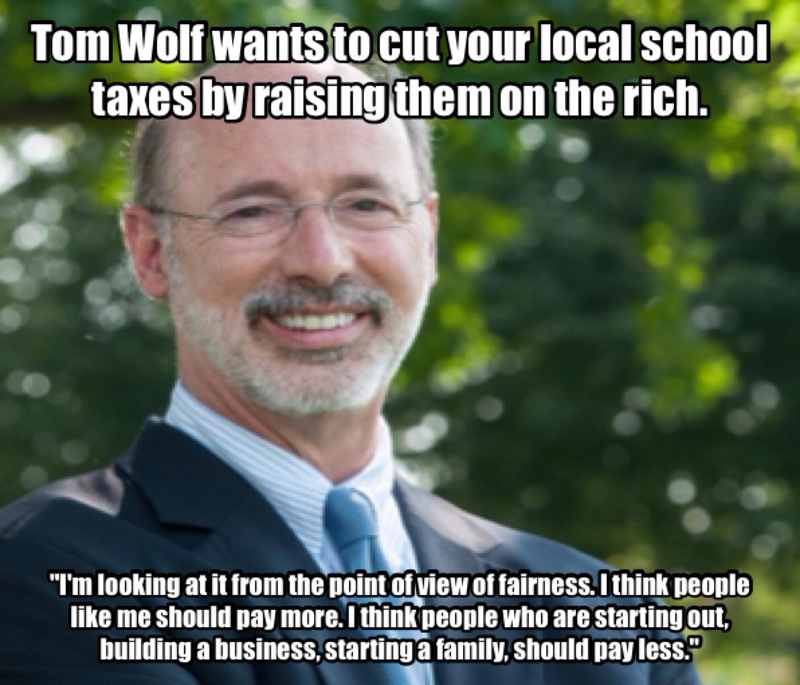 We’ve seen that the reformers really aren’t reformers at all. 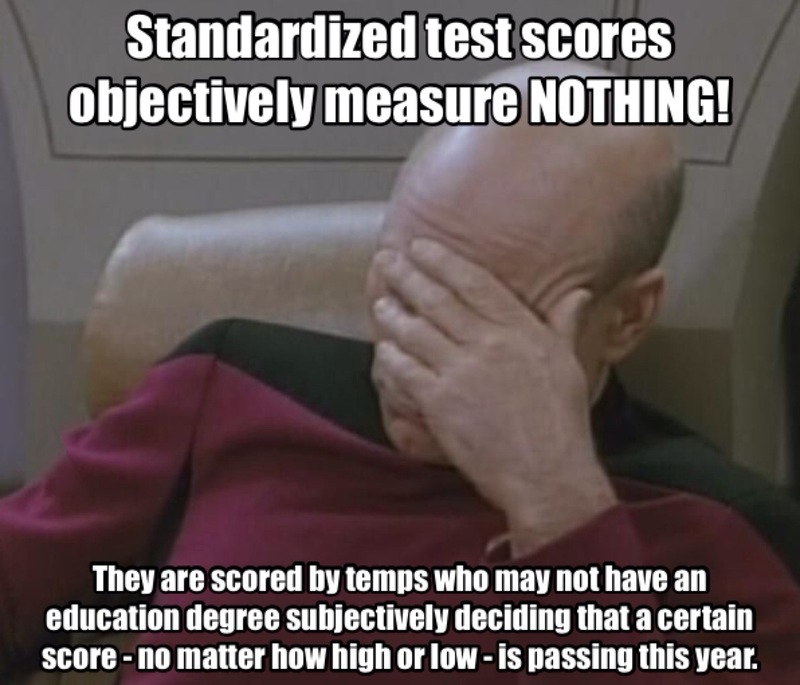 They’re “STANDARDIZERS.” Isn’t that, after all, the goal of all their botched and bungled education efforts? 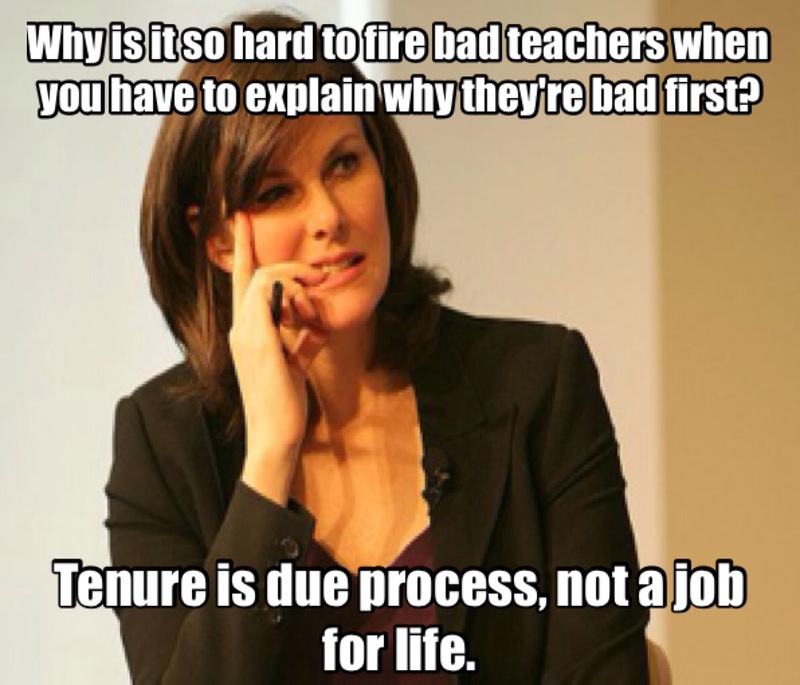 Even the debate on teacher tenure is about standardization. The shadowy AstroTurf organizations financing these attacks want teachers to shut up and get in line. No more due process so they can fire whoever they want, whenever they want. No more talking out against these failed reforms. No more push back. Just read from the script, do your test prep, proctor your standardized tests and when you’ve either quit or your salary is too expensive, it’s time for you to go into another field. 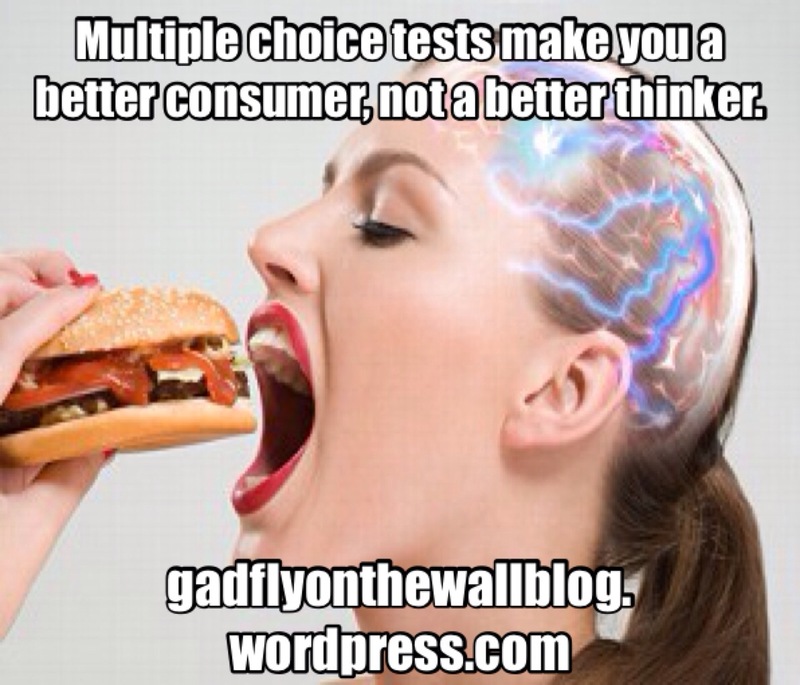 STANDARDIZERS want our public schools to look like the educational equivalent of Walmart or McDonalds. 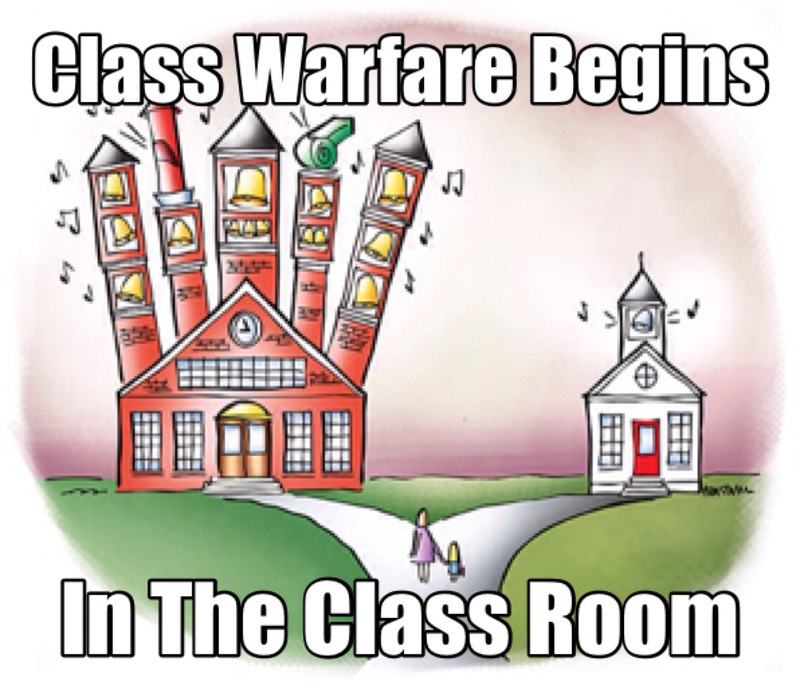 On any given day, walk into an 8th grade class in a school in Brooklyn and walk into one in Kansas City or Los Angeles or anywhere in the country and you’ll see the same lesson being taught the same way by your easily replaceable and inexperienced teacher. Many of us oppose this goal. 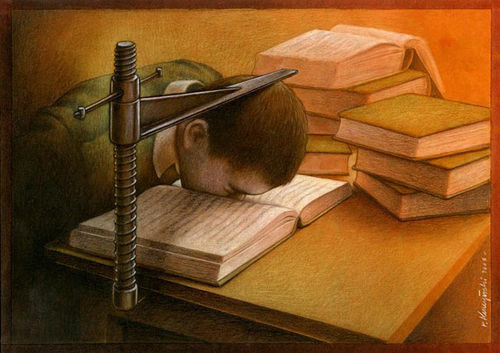 We think this isn’t the best way to educate our children. But what do you call us? What term best characterizes our educational outlook and goals not just by contrast to what STANDARDIZERS do but also positively describes what we think a good educational system should look like? I’d suggest “INDIVIDUALIZERS.” After all, that’s what good teachers do. We individualize children’s education. We construct our lessons so that they address the various learning styles of our students. We let students make choices and hold them responsible for those choices. We talk to parents and psychologists and make decisions based on our students needs. We thoroughly read our students IEPs and abide by them (instead of just ignoring them like the STANDARDIZERS do). We meet kids where they are and help them progress from there. We don’t start at some arbitrary standard. We don’t tell them facts are all that matter. We cherish their opinions and help them make stronger arguments based on facts. This includes school funding. 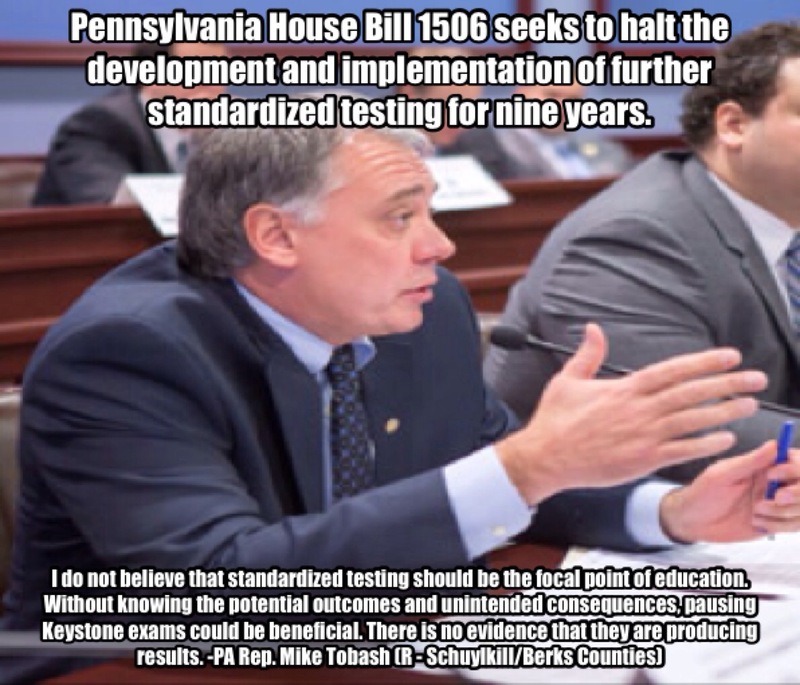 STANDARDIZERS say they want every school to get equal funding! That sounds great – equality – but what we need is equity. 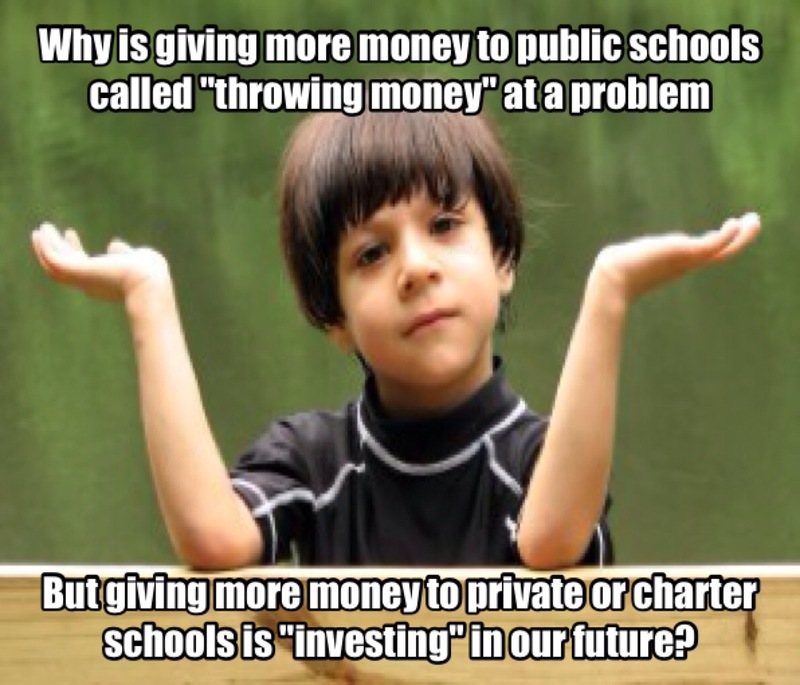 Poorer schools require more funding than those that serve a wealthier population. Impoverished students need extra tutoring, child care, basic health programs and other wraparound services for the things that – for whatever reason – don’t get provided at home. And there are an awful lot of kids in need. A majority of all public school students in one third of America’s states now come from low-income families. 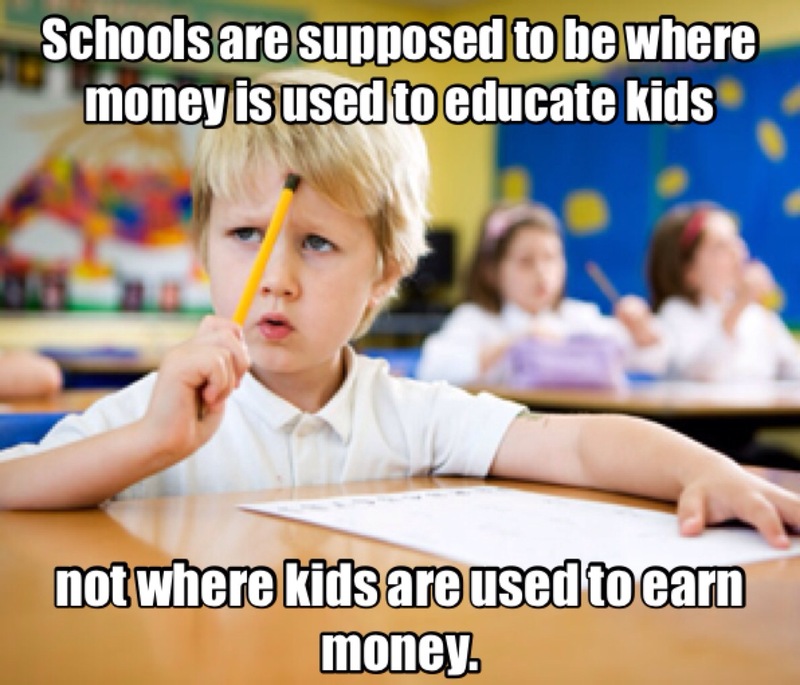 Poor kids just cost more to educate. The rest of the industrialized world knows this and funds schools accordingly. We’re one of the few countries that willfully refuses to do it. 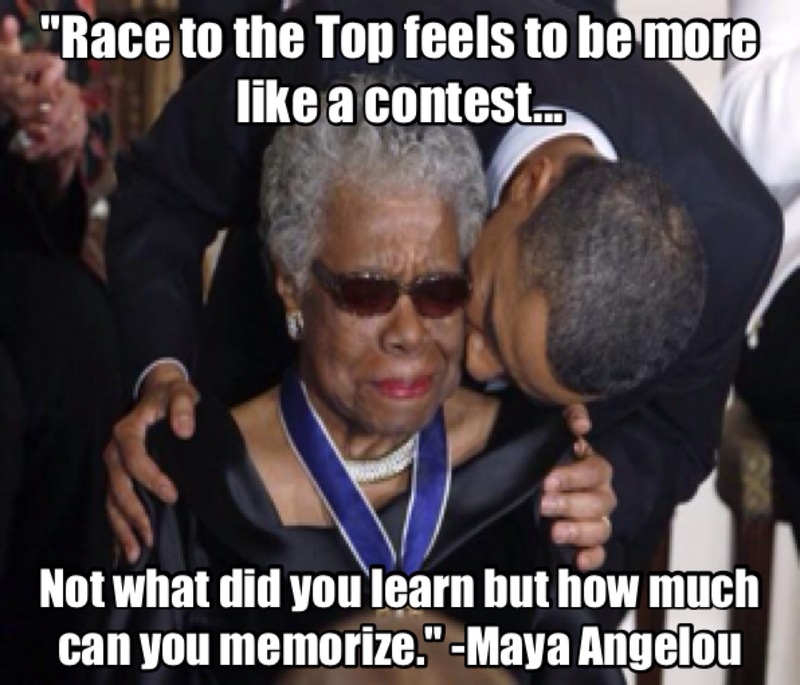 It’s like the racist who claims he “can’t see color.” STANDARDIZERS won’t see poverty. They also won’t see that many of these impoverished children are minorities, either. A sure way to tell if you’re talking to a STANDARDIZER is if he says that we need to stop wasting money on schools that don’t work and start investing in ones that do. It just means he thinks rich kids deserve more money than poor kids. You don’t think STANDARDIZERS want all this mechanized horror for their own kids, do you? This robotic utopia isn’t for their own children. 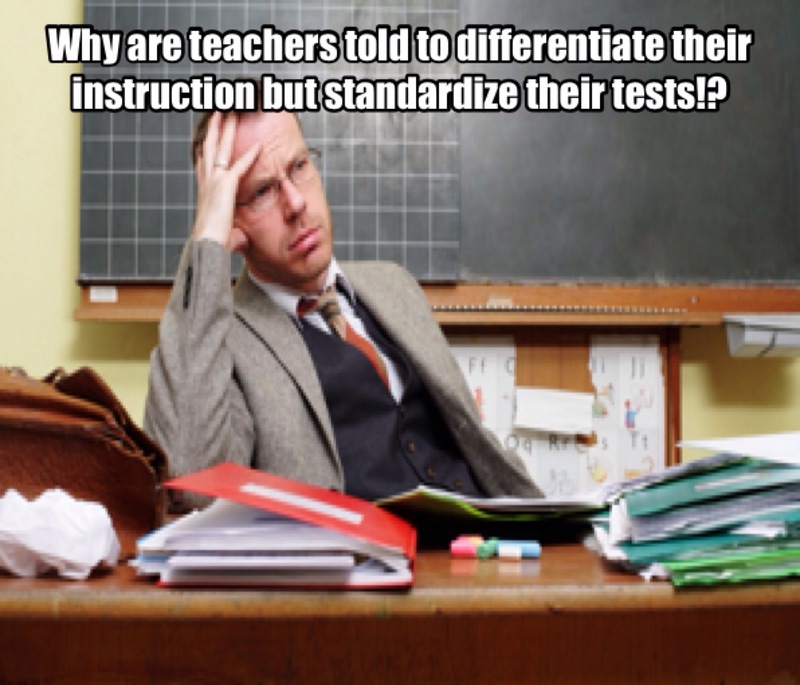 If you walk into a rich school – probably a charter, parochial or private school – you won’t see standardization. If they want public schools to be Mickey Dees, they want their kids schools to be a celebrity chef’s burger bistro selling made-to-order patties of Kobe beef topped with Foie Gras! And there’s nothing wrong with that, BUT it’s awfully telling that what they want for their own children is too good for yours and mine. 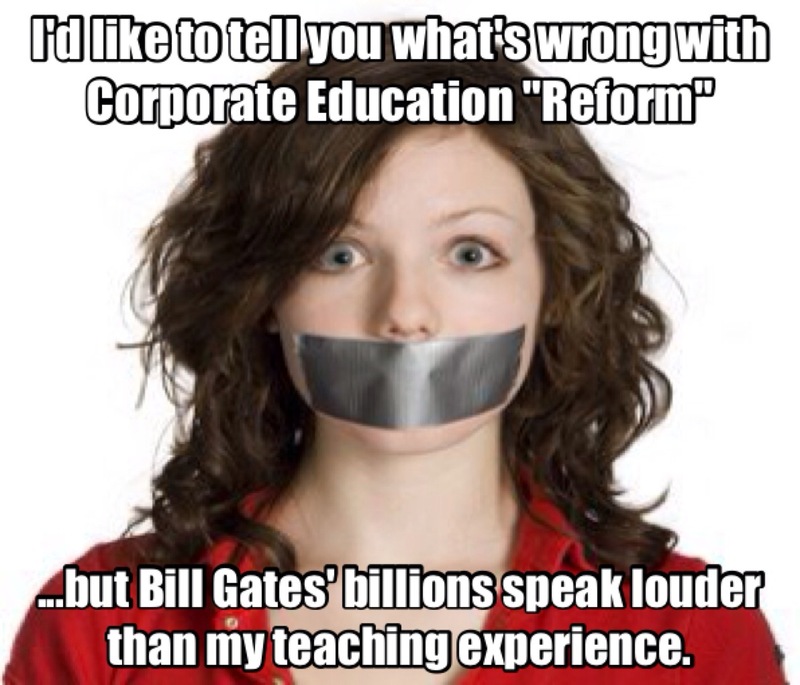 So to review, Corporate Education Reform is all about standardization. Those who oppose it are in favor of individualization. 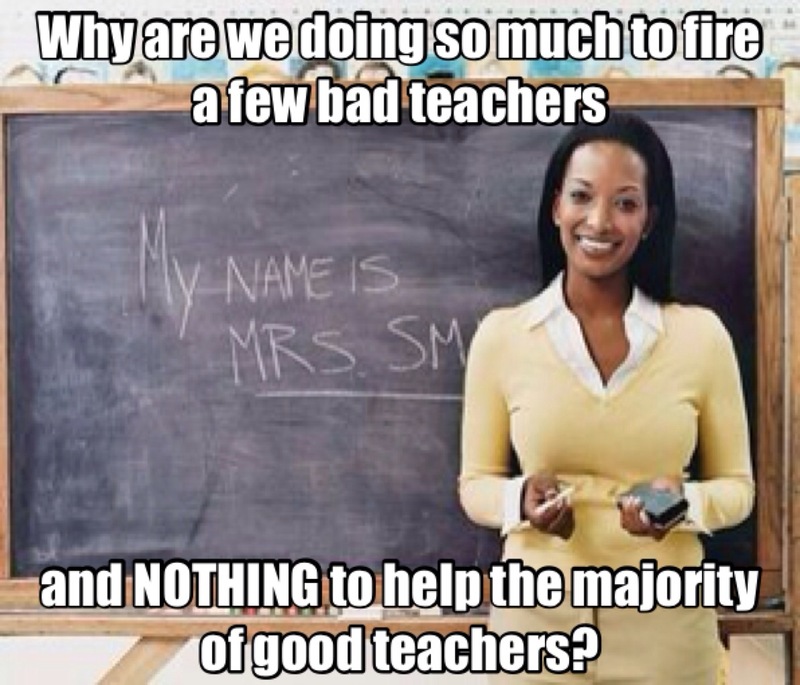 Or to put it in a soundbite: Reformers Standardize – Teachers Individualize. I think if we start talking about it like this, we may see a change. Every time a STANDARDIZER tries to frame it their way, correct them. Don’t let anyone characterize the status quo as “reform” without correcting them that it’s actually about standardization. We need individualization. It will take time, and we need to continue making the arguments we’re already making about why this is true. But eventually things might change. One day in the not-so-distant future, you might turn on a TV news program about education reform and hear from – GASP! – a teacher! NOTE: Many Individualizers self-identify with activist groups to oppose the work of standardization. 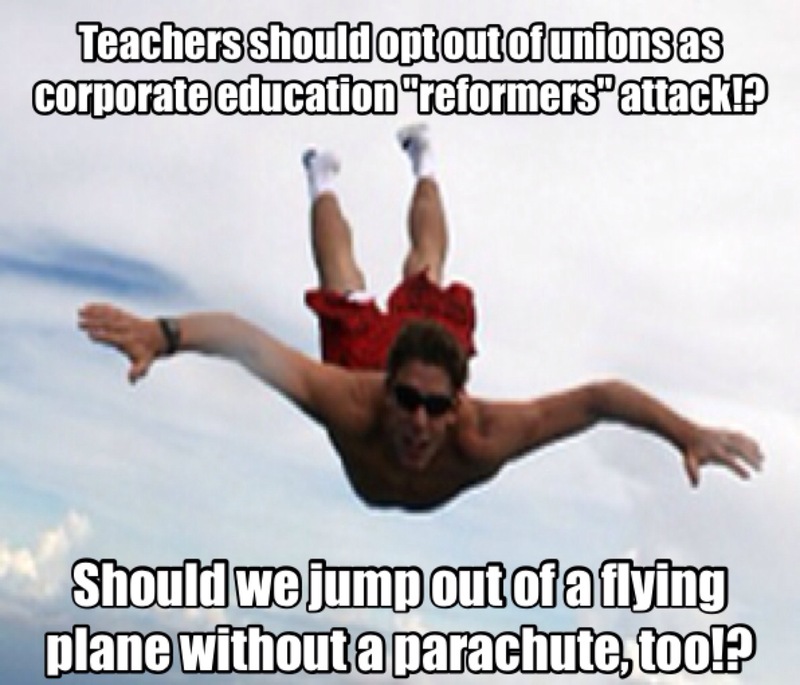 For example, some call themselves BATS or Badass Teachers since they belong to the Badass Teachers Association. (I know I do!) And there’s nothing wrong with that. However, I think we need a close synonym, a broader blanket term for the entire aggregate of people who oppose standardization. Not everyone will want to be called a Badass Teacher. But we can all be Individualizers. And, moreover, the use of that term in contrast to “standardizer” helps us frame the narrative in a more truthful way than that currently being popularized.